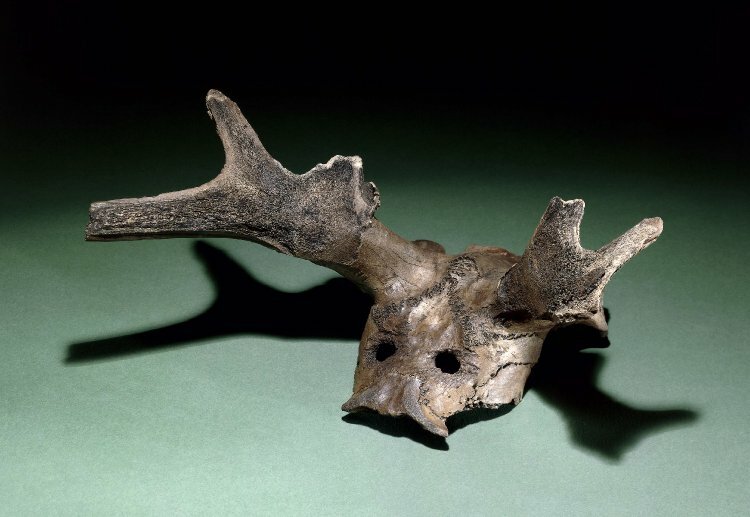 Part of our research has focused on deer in prehistory and especially on the famous antler head dresses found at Star Carr, an early Mesolithic site, and the famous antler head dresses found at the site in the 50’s and now held in various museums. 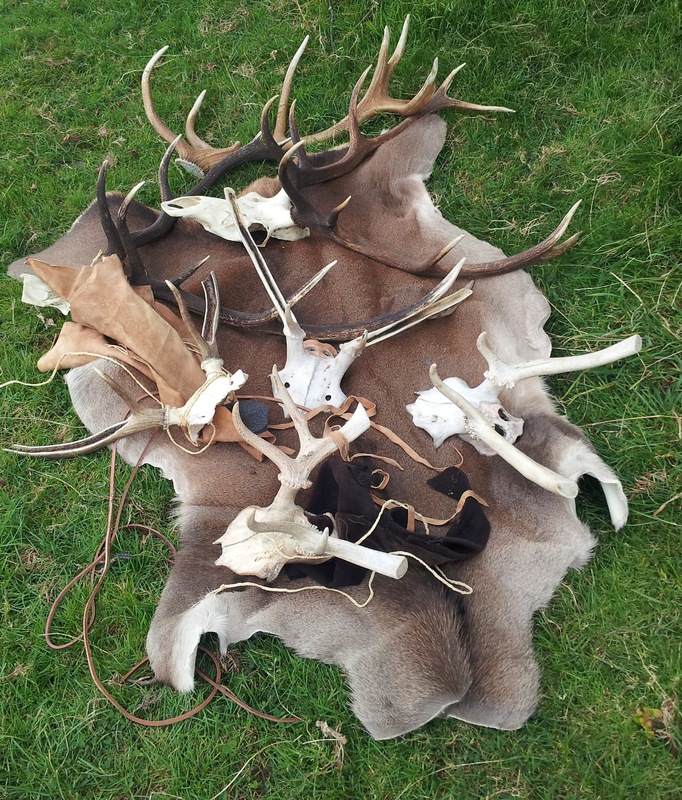 We have been interested in exploring what these head dresses, fashioned from the skulls and attached (unshed) antler of large male deer, were used for. 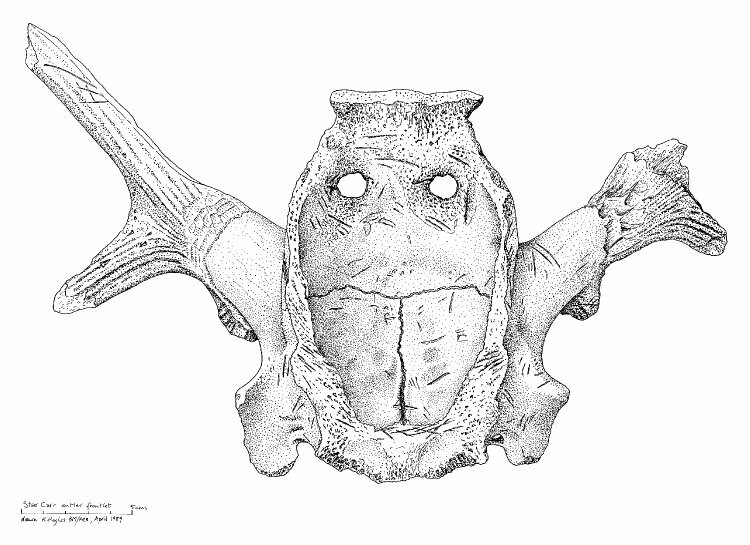 The head dresses are not complete with fractured ends to the antler, Clark suggested that some were deliberately broken in antiquity, possibly to re-use the antler to make barbed points. Star Carr is extremely unusual in its high concentration of barbed points compared to other sites, and if we consider that these are hunting implements, the presence of worn points suggests they were used prior to being returned to the sites and deposited. .
As the original excavator noted there are a number of characteristics that point to the shaped skulls being worn rather than merely being mounted on posts etc. The reduction of the tines and the alteration to the inner skull surface are suggestive of these artefacts being used as head dresses. If used for hunting would they be effective and what was the purpose of the holes in the back of the skull? Whilst mostly there are two holes, that look like eyes, some skulls have three holes……. Our reproductions so far have been made from younger, smaller stags whilst our experimental strategy is being worked out. Ian used identical tools to those available in the Mesolithic and reduced the antlers by taking off the majority of the beam and tines, he smoothed the inside of the skull and also created holes in the back of the skull. 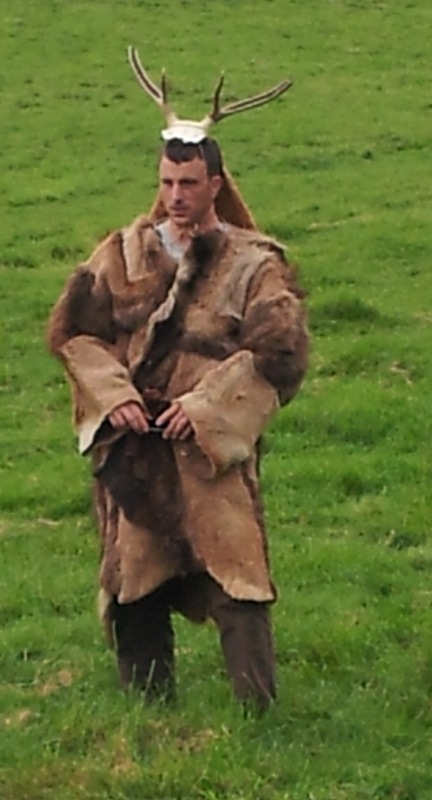 He managed to create barbed points from the antler waste removed to make the head dresses. 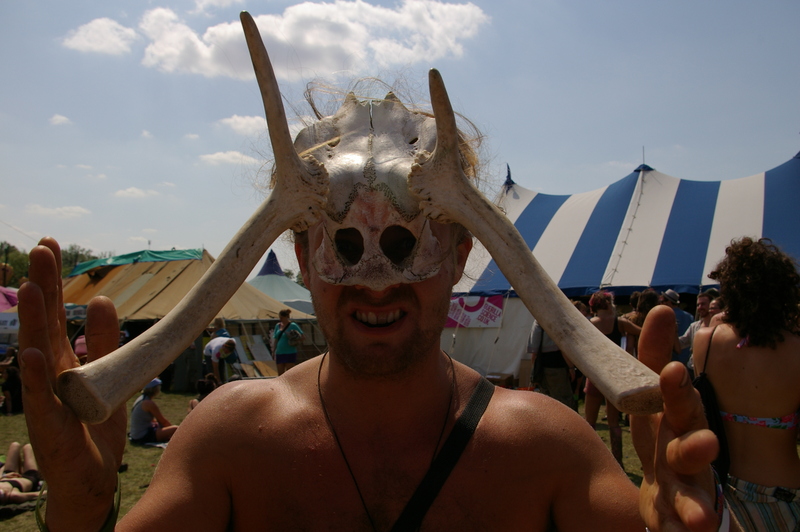 We have tried our skulls on many people’s heads over the summer at festivals, and whilst they are relatively easily held on the top of the head facing forwards with cords threaded around the antlers and through the natural holes (foramina), it is much harder to wear them reversed looking through the artificial ‘eye holes’. 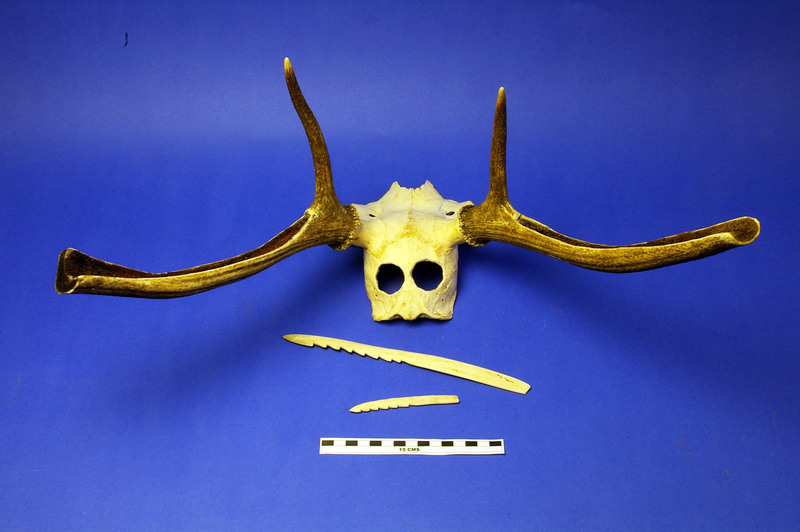 We have noted no evidence for wear around the antler bases or through the these ‘eye holes’ on the three head dresses we have examined so far, however the skulls surrounding the foramina of at least one of the skulls is broken and shows some sort of wear/alternation suggesting that these probably were part of some fixing technique. These smaller skulls remain uncomfortable to balance on the head, so if worn as head dresses some sort of padding would have been useful. 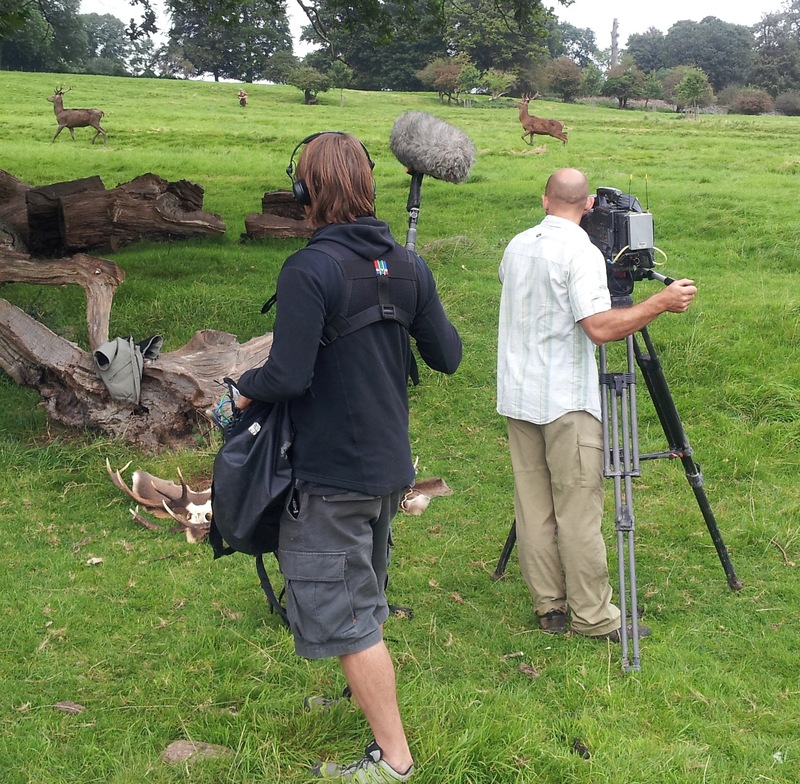 With TimeTeam we explored how the red deer of Aston Court responded to the head dresses. These are a herd habituated to human company so the results are somewhat biased, however this provides some clues as to how the head dresses operated. 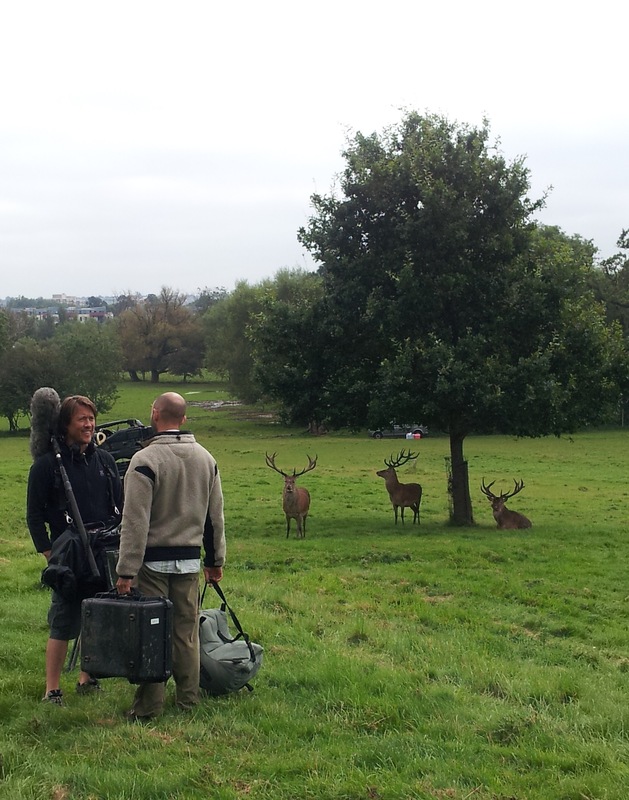 The stalking involved dressing up a presenter, Alex, in skins and a head dress and setting him off to sneak up on the deer. 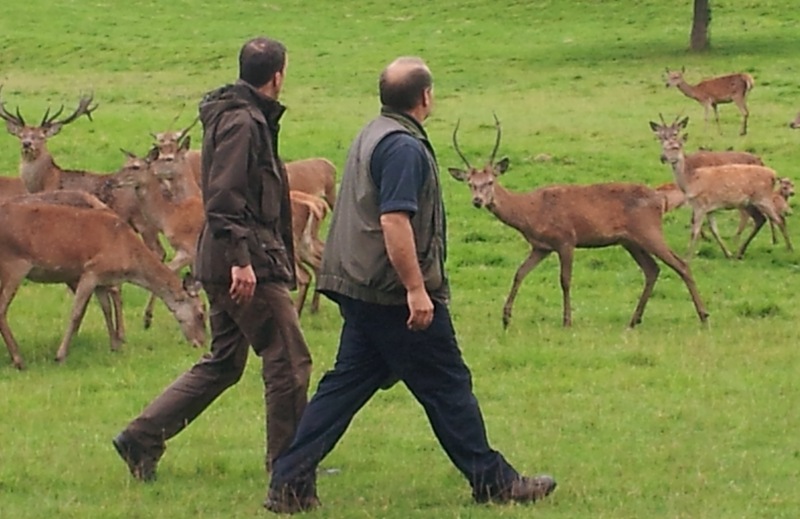 The results were interesting, not least in watching an amateur attempt to stalk deer. In general, the deer spotted him from a long distance away, with a few wary hinds keeping a careful eye on him until he came too close. At this point they would bark – all the herd was alerted, up on its feet and ready to flee when he came close. Alex could not get with 20 metres of any individual from the main herd. The stags however were a different matter, generally more curious and confident than the hinds, they hung around generally ignoring us whilst we filmed. 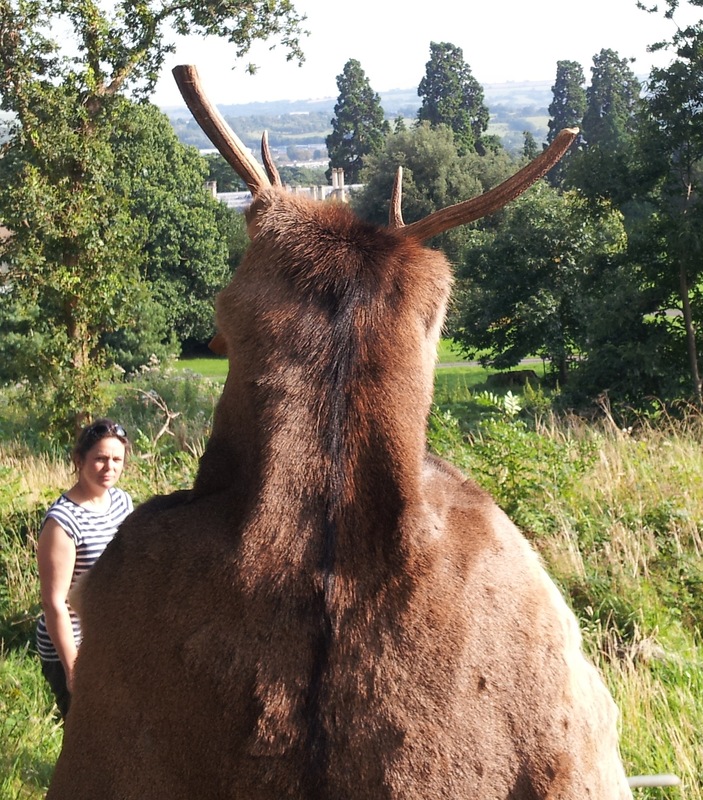 However when Alex donned his antlers they become much more interested and tended to come over to get a new look at this new creature. 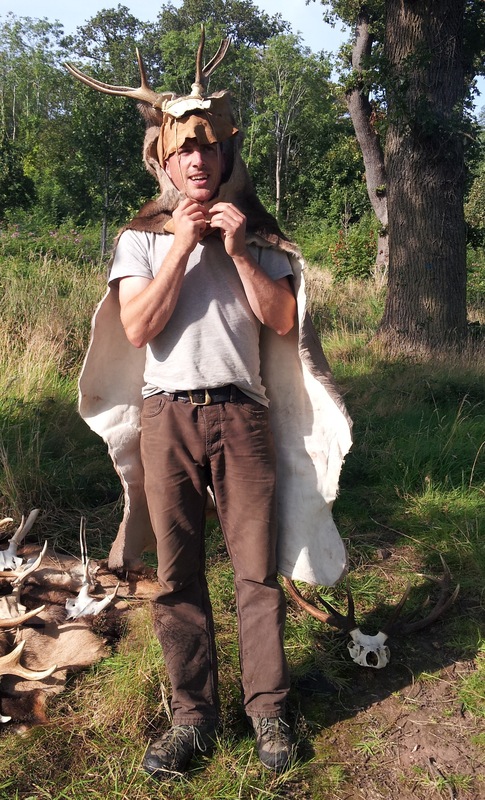 Some ethnographic accounts describe luring stags in using antler head dresses and calls, and based on our experience using the head dresses in this manner could have been very effective. The experiment also proved that lashed on with only a small amount of plant cord the head dresses could be attached to a hunter and used to actively stalk deer. The use of these head dresses to lure in, or to hunt deer does not however preclude their role in other, possibly shamanic activities and we will discuss this, and other aspects of the head dresses in more detail in another post. Stag Knight, horny man, hunter or shaman?